Another launch, another line! 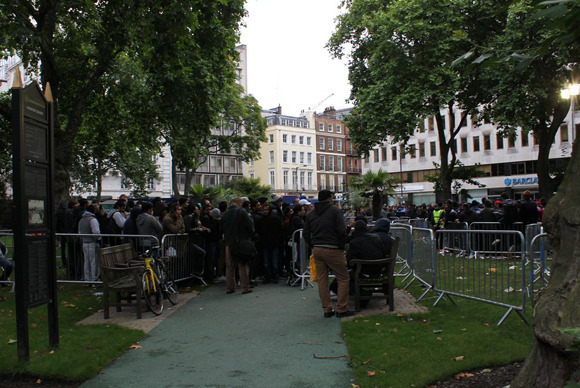 The iPhone 5s and 5c launched on Friday, and crowds lined up sometimes around the block to secure their new phones. 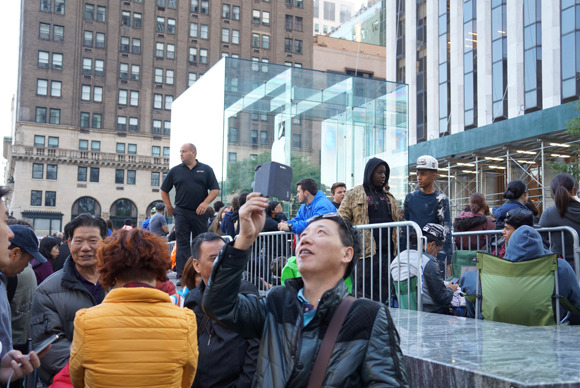 Another iPhone launch, another onrush of shoppers to Apple Stores around the world. 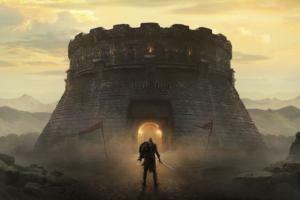 And with the iPhone 5s only available through stores on launch day, early adopters had added incentive to brave the crowds. 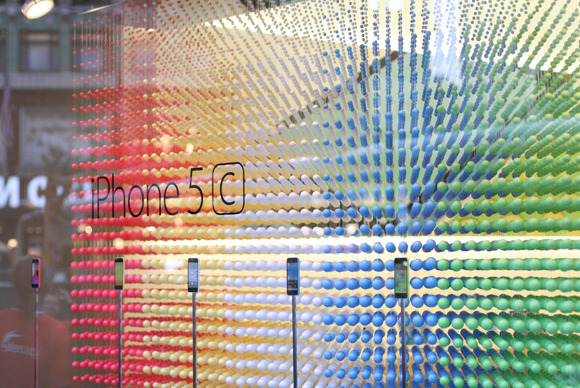 Here are the top images from iPhone 5s and 5c launch events around the globe. 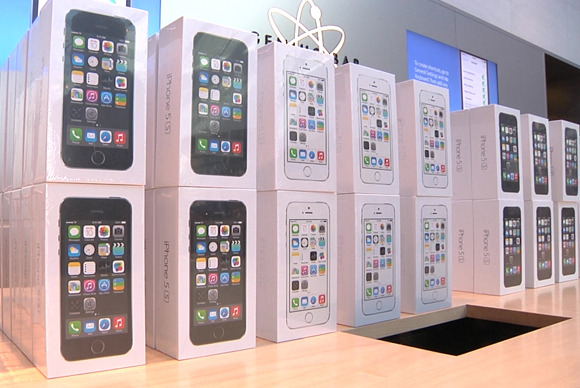 Apple began selling iPhones at 8 a.m. local time in 10 countries. 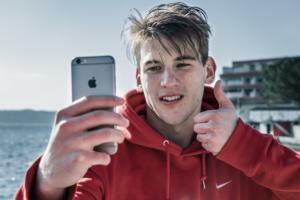 That meant Australia led things off Friday, as crowds queued up at the Apple Store in Sydney. Part of getting an iPhone on Launch Day means coming prepared to sit around for a while. 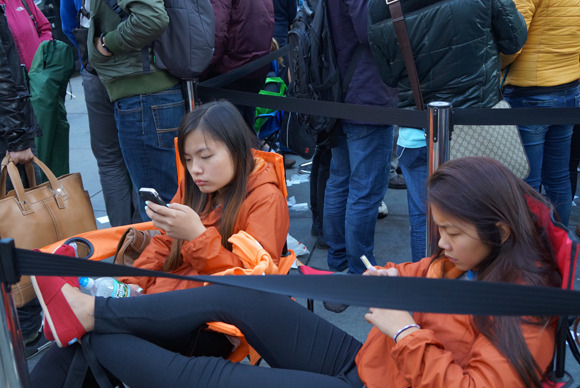 These two shoppers at New York’s Fifth Avenue Apple Store were smart enough to bring their own chairs. 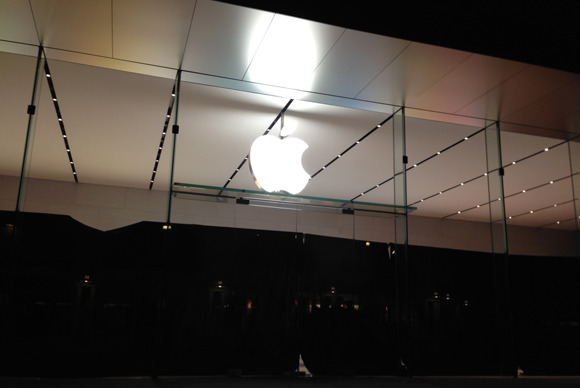 ...that’s the illuminated Apple logo shining out over iPhone enthusiasts queuing up in front of the Palo Alto, Calif., Apple Store in the wee small hours of Friday morning. The line outside Apple’s Regent Street store in London stretched down Hannover Street to Hannover Square Gardens, spilling out the other side. 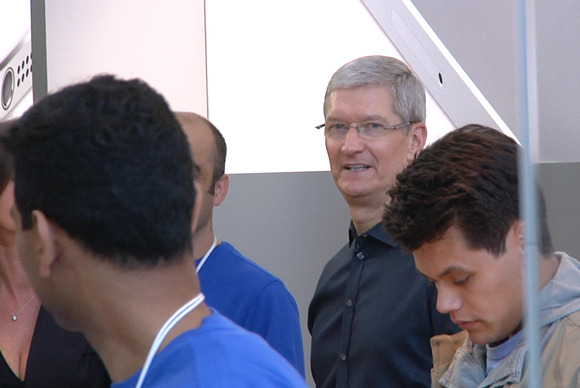 Tim Cook drops by an Apple Store in Palo Alto, Calif., to see how the launch of the iPhone 5s and 5c is shaping up. 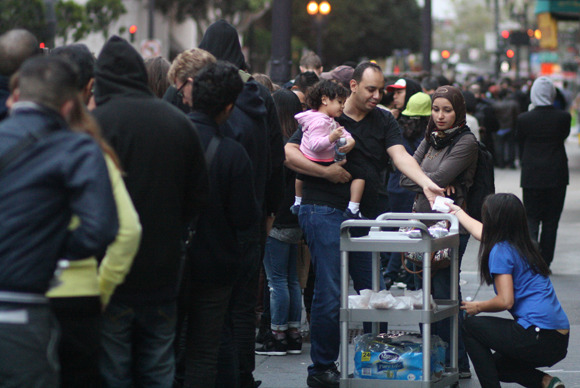 In San Francisco, where the line stretched around the block, staff handed out coffee and donuts to the weary but excited crowd. 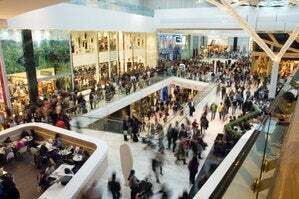 The iPhone 5s was undoubtedly the big attraction on Friday; it was the first day anyone could place orders for the new phone or pick one up at a store—if there were any left. 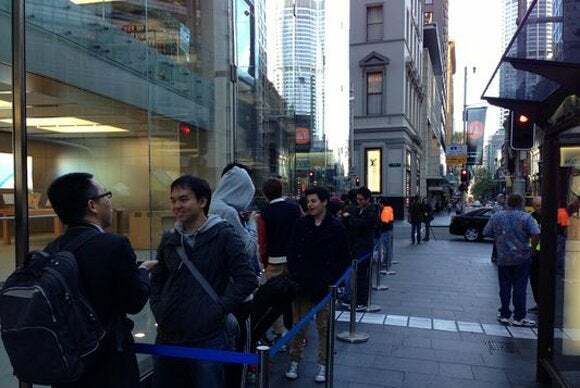 While most people in line were waiting for the iPhone 5s, the iPhone 5c also went on sale Friday (though Apple started taking orders for 5c models a week ago). 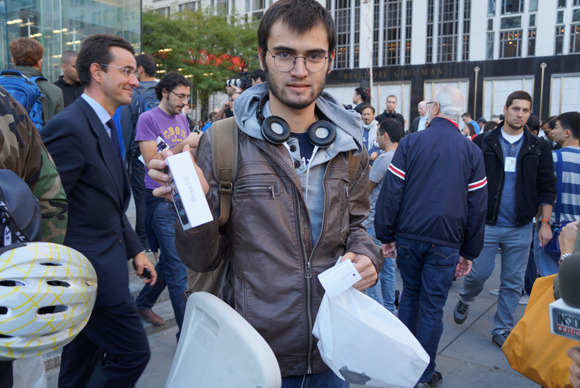 Friday’s iPhone launch was well-timed for Ahmed Aytekin, a student from Turkey. He's leaving the US on Monday, but he'll be taking a newly purchased iPhone 5s with him. 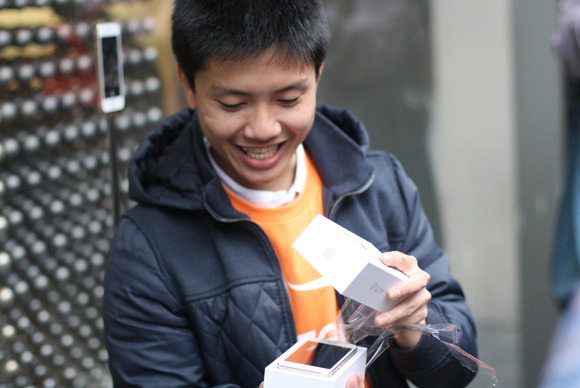 After 18 hours in line, Thanh Nguyen finally gets a look at his new 16GB gold iPhone 5s—the only one in stock at the San Francisco store. “Worth it to get the gold one,” Nguyen said. 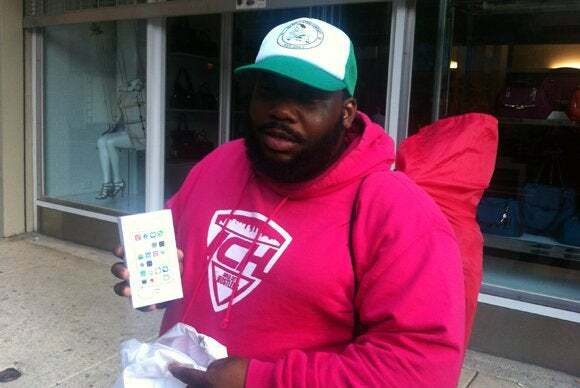 Being one of the first in line at an iPhone release means more than just getting your phone before everyone else. 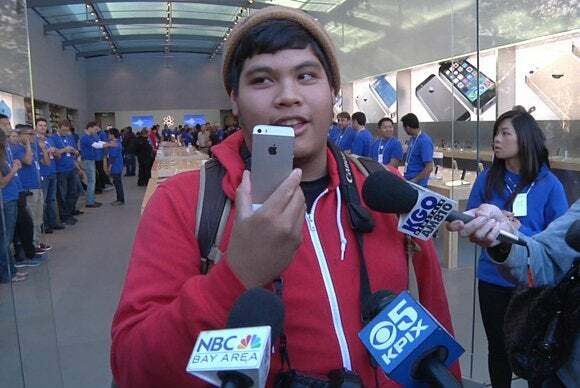 You also get a fair amount of attention from the media, as Fitzgerald Geonzon discovered at the Apple Store in Palo Alto.